Special White House envoy Jason Greenblatt calls for public condemnation of 'brutal attack' on Israeli teen. 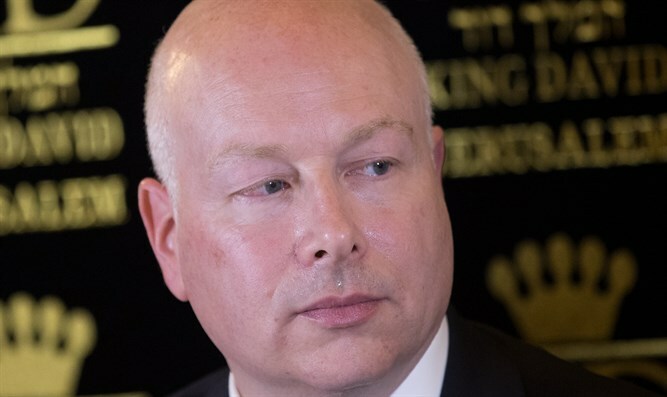 President Donald Trump’s special envoy for international negotiations, Jason Greenblatt, offered his condolences to the family of an Israeli teen who was sexually assaulted and murdered by an Arab terrorist in Jerusalem last week, and called for public condemnations of the attack. “My heart and prayers go out to Ori Ansbaker’s [sic] family whose daughter was murdered. This brutal attack should be condemned by all,” Greenblatt tweeted Sunday night. Ansbacher’s remains were found in the Ein Yael forest in southern Jerusalem Thursday night, after she was reported missing that morning. Her remains were found stripped naked, with multiple stab wounds to the upper torso. Over the weekend, Israeli investigators revealed that a 29-year-old Palestinian Arab from Hevron, Arafat Arafiah, had been arrested in connection with the murder. Arafiah later confessed to the murder, and reenacted it for Israeli investigators. The terrorist, who entered Jerusalem carrying a knife, spotted Ansbacher in the Ein Yael forest Wednesday, after she left the youth center where she volunteered. Arafiah raped Ansbacher, stabbed her repeatedly in the chest, then fled the scene. He was later arrested in the Palestinian Authority-controlled town of El-Bireh, near Ramallah. Ansbacher, a 19-year-old native of the Israeli town of Tekoa, south of Jerusalem, had been performing her civilian national service at a youth center in the capital.